It is refreshing and the deep flavor of the Irish whiskey works great with the sweetness of the Maplejack liqueur. The orange bitters uplifts the whole thing. Tasty! Can you believe that Mahar's only has a few weeks left? Its crazy. It has me thinking about the ways that specific places can add to our daily lives. At lunch with a special collections librarian recently, we've had discussions about e-books. She heard that the wave of the future is no books at all, and that the logical next step is no library. I said "What about the library as a social space?" 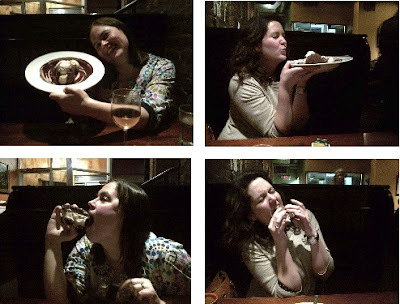 Delicious ice cream sandwich aside, it is cool to have places in your life where you know half the people who walk by, and where you feel comfortable enough to act that ridiculous These places become the sets where our lives play out. 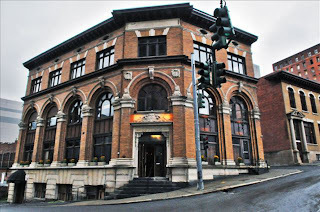 It's sad news that the great Madison Avenue beer mecca Mahar's is apparently being shut down. The diverse selection and the unique "beer tour" (in which an ancient computer kept track of what beers you've tried and offered a discount for regulars) made it a regional treasure. BMT, who's taking over the space, does have some history of success -- I love Cafe Madison and like The Point -- and hopefully they'll recognize the magnitude of what they have to live up to. 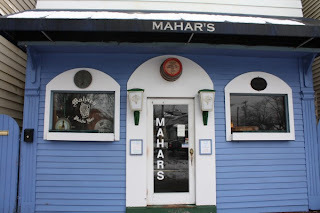 Most of all, I hope Mahar's will find another Albany location. Check out more information on this topic on All Over Albany.